August is Hair Loss Awareness Month and I’m here to let you know it’s OKAY! Male pattern baldness and female pattern hair loss are the most common conditions and it’s actually normal to lose around 100 hair strands per day, based on the average scalp containing 100,000 hair follicles. Did you know that 38% of women say they start noticing a change in their hair around age 35 and by age 60, about 60-70% of men and 50-60% of women will have thinning hair? While the primary cause of hair loss is genetic, other factors play a huge role in excessive shedding: extreme stress, child birth, illness, immune disorders, medications, right braids, weaves and improperly applied extensions. Use products designed for scalp health and thinning hair that add thickness and volume so hair has a fuller look, and when used for prevention, slow the look of aging hair. 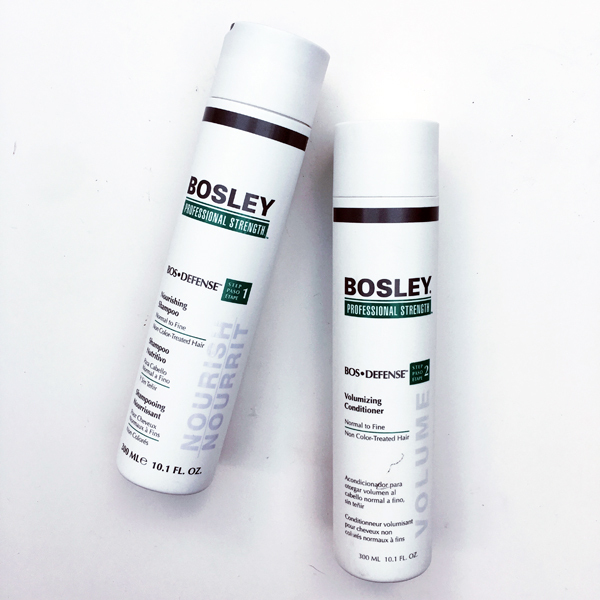 Shampoo frequently with a thinning hair cleanser, like Bosley Professional Strength BosRevive Nourishing Shampoo, which is designed to remove any build-up and debris from the scalp and hair. For a quick cover up try natural keratin hair fibers like Bosley Professional Strength Hair Thickening Fibers, as they give instant density in the hairline and crown. 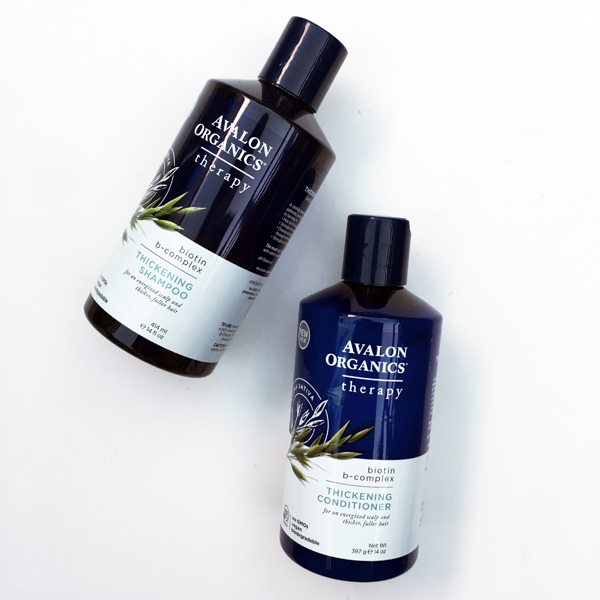 If you want to prevent any future hair loss and don’t want to use any chemicals, Avalon Organics Biotin B-Complex Thickening Shampoo and Conditioner is your dynamic duo. Additionally, with the help with Marula Pure Beauty Oil 5-in-1 Volumizing Spray for everyday styling, this allows you to aim at your roots (where we all need some extra love) or all over. Thinning hair isn’t just an issue for men. This is a silent epidemic that nobody talks about and hair loss can be emotionally devastating and cuts to the heart of a woman’s femininity, self-esteem and wellbeing. 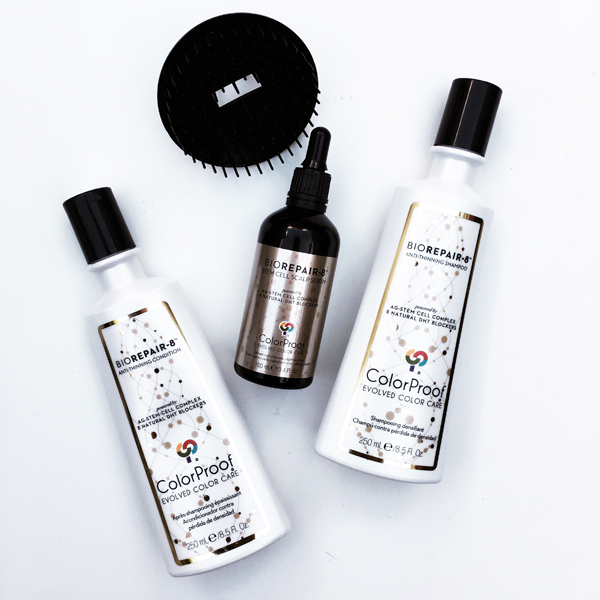 For women with aging, thinning, color-treated hair, your hair savior will be the ColorProof BioRepair-8 Anti-Aging Scalp & Hair System which uniquely targets the four main causes of female hair loss at the bio-cellular level to regenerate the scalp, improve strength and density, and deliver noticeably thicker, fuller hair without fading or tarnishing your colored hair. Now, there is no more excuses! Whether you’re a man or a woman, prefer organic products, or are color-treated, there is a product for you!